Sorry, Lindsay, I can’t. But I am hopeful that one of our readers can. This plant is your friend if you have heart problems. 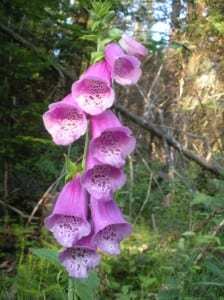 Digitalis is used to control atrial fibrillation. 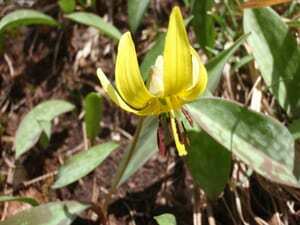 But don’t try and self-medicate this plant can make you pretty sick if you eat it. There are probably new better drugs for this anyway. They are beautiful plants. I have lots of it near a camp I have in the same general area as this picture. Like lilacs and lupines, they do seem to like the Adirondack soil. Foxglove, or digitalis – a biannual, grows wild in shaded areas – I have a volunteer in my garden! It is Digitalis purpurea, a native flower of parts of Europe,Asia and Africa. Here it is non-native and spreads on its own but not to the point it is called invasive, I think.